Tailgate was founded in 1997 by Iowa-native, and award winning, fashion designer, Todd Snyder. Snyder saw a need for better designed collegiate product for men and women. Using his experience from Polo Ralph Lauren and J. Crew, he incorporates the American vintage design into his t-shirts. What started out with the idea of sports fans making clothes for sports fans, morphed into something more after a few years of selling collegiate tees out of the back end of a pickup. “Being from the midwest you get involved in the lifestyle: going to the bars, trying different kinds of whiskey, having conversations about sports and cars. Eventually we wanted to turn our brand of collegiate sportswear into a bigger idea about being together and sharing similar interests" says Founder, Todd Snyder. Todd’s passions and affinities are what make the brand what it is today. What began as a goal to create curated college wear has translated into a passion for crafting clothes that show off the story of America through its prolific icons. 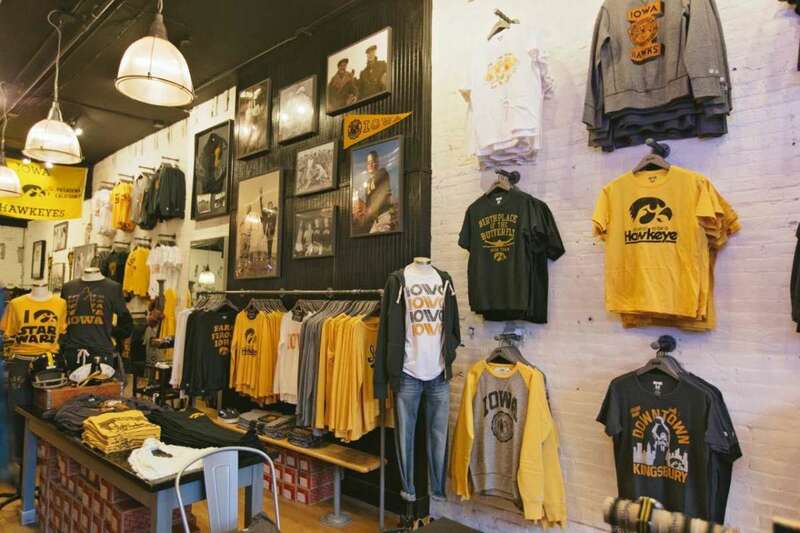 Whether it’s Muhammad Ali or the Iowa Hawkeyes, Chevy or Templeton Rye, your favorite bar or vacation spot--their passion is in celebrating the lineage of American design, innovation, and spirit.